We all know about the economic climate in Greece and it was just a matter of time for interesting classic cars to appear on the market. This seems to be Dimitrios Spyropoulos' Veloce Classic and Sports good chance to get some very interesting cars up for sales. His company is based in West London and thou some cars still seem to be in Greece judging by the pictures, his business seems well established and I would be happy to go and check it out if anyone's interested. These are three cars that I found particularly interesting. 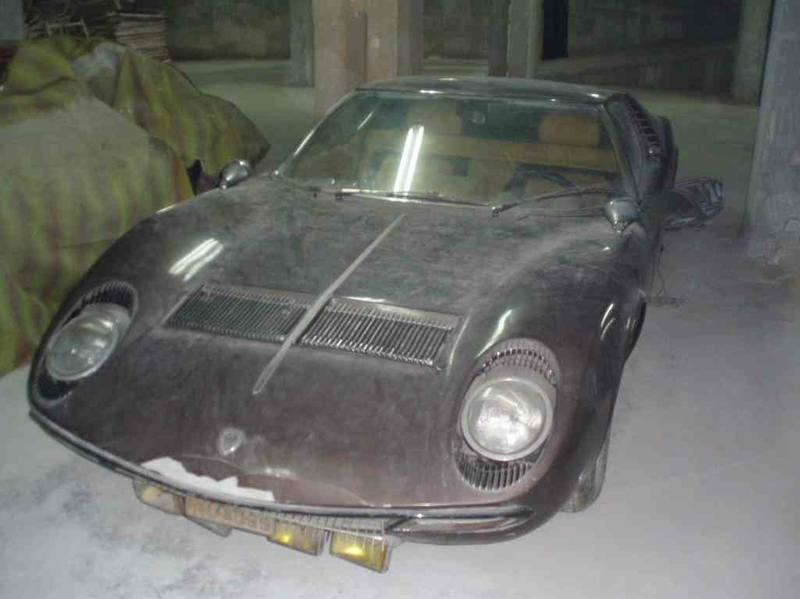 This Lamborghini Miura S appears to be a present from Aristotle Onassis to Stamatis Kokotas, a famous Greek singer in Greece. The ad also states "The car needs complete restoration. The engine is overhaulted by the Lamborghini factory and is on preview from the Lamborghini Museum in St. Agata." 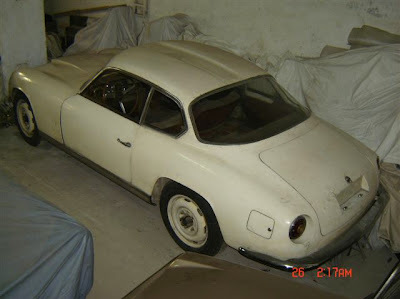 A quick check on chassis numbers reveals that the car was completed on the 24th of December 1968, and whether chassis and engine match, the color should be Red and Black, with Blue interior. Some specialised websites also note that is was rebuilt as 434th car. Sure there's some interesting history to discover about this car. 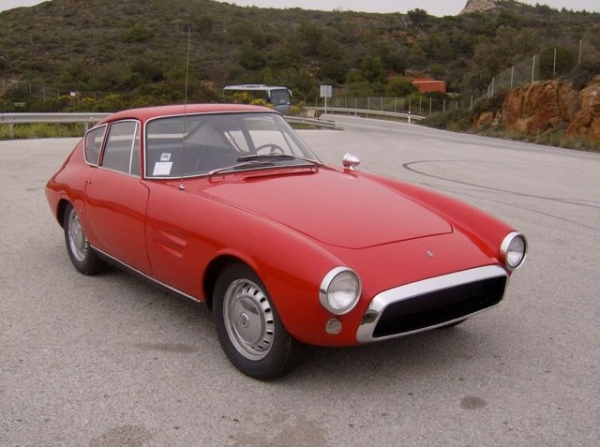 Another little gem is this Fiat Ghia 1500. I always liked this model and sure it would be a welcomed car in many events. It looks very straight in the pictures and I really don't think it's a car that is worth messing too much with, therefore it should be as good as it looks. 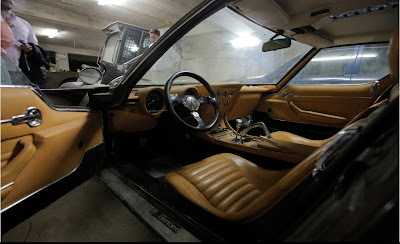 If the pictures match the real conditions of the car, the price seems right at£15500 or near offer. My personal favourite of the whole lot thou would be this Lancia Flaminia Zagato 3C, one of my all time favourites. The car is said to be modified at the source for hillclimb races and would be interesting to find out who actually made that unique one-piece bonnet. 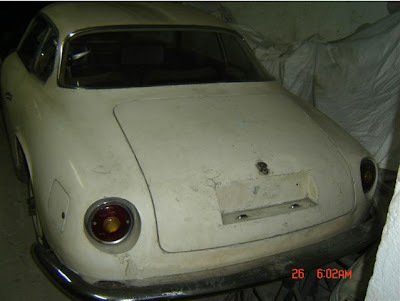 The story of this car could very possibly make it one of the most amazing Flaminia in the world. Please contact me if you need any more info or better still, if you want me to visit Dimitrios' London office. I think I'll get in contact with him very soon.